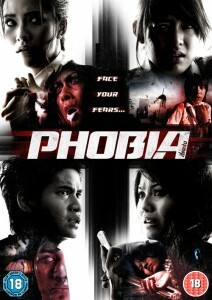 An easy on the eyes and mind horror anthology from four Thai film-makers, Phobia never truly scares, but there are some fun jumps along the somewhat predictable way in these thinly-linked stories. Thongkongtoon kicks off with the segment Happiness. A young girl is recovering from a broken leg in her flat, received when the taxi she was in collided with a pedestrian. Hiding from her landlady because her rent is in arrears her only form of communication with the outside world is her internet and mobile phone. When the internet packs up she begins to receive text messages from a complete stranger. Bored, she starts up a conversation, and after a series of stranger and stranger exchanges she wishes she listened to that revised and updated nugget of parental wisdom: never text strangers. Especially if they’re dead… This segment has no dialogue whatsoever, just the irritating buzz of the mobile as messages come in, off-set by the steady build-up of a claustrophobically threatening atmosphere as the ghost decides he wants to meet up in the flesh. Thongkongtoon just manages to keep the single interior setting this side of tedious, but the inevitable pay-off did send a little shiver down my spine. A well-intentioned supernatural covert-ops thriller from the writer of The Blair Witch Project that may culminate in frustration for some, as the ending is speculative to say the least. On the other hand, there are those of us who appreciate such room for interpretation, and The Objective cannot be accused of being anything but original given the recent trend towards inept war/horror movies such as the tedious Red Sands and the atrocious Zombies of War. The Objective of the title is itself cloaked in mystery as CIA Agent Ben Keynes is assigned a small Special Ops team to locate and interview a local mystic. This old man may or may not know about the massive radioactive heat signature discovered by satellites deep in an unforgiving terrain of mountains and desert. It becomes apparent that this search is only a part of Keynes’ mission, but whether or not he knows the reasons behind the team’s steady disintegration as they travel deeper into the wilderness is also unclear. What is clear is the formula Myrick has chosen to apply to The Objective: this is The Blair Witch Project without trees (and witches). He develops a gradual unease as the lost group stumble across wooden triangles stuck in the barren landscape, possibly placed as warnings. Water turns to dust in their canteens and they see vague shimmering shapes in the distance, hazy figures walking into the triangular phenomena before ascending into the sky. As they are picked off one-by-one by a rarely seen force that literally disintegrates its victims (its geometries looking like something that might have come from a mind-meld of pseudo-scientist and new-age sf maverick Eric Von Daniken, and H.P.Lovecraft) the team is no nearer knowing what it is supposed to be doing. 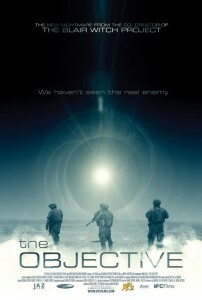 The Objective suffers by its director’s reputation, and by comparison to the aforementioned Blair Witch Project, but it is relatively well-acted and fresh enough to be worthy of your time. Having said that, I’d like to see this script worked into a short story or novella – the reader would undoubtedly enjoy a more subtle and gritty supernatural experience that would make a much greater and longer-lasting impression, as suggestion is often more effective on the page than on screen. The zombie Nazi film sub-genre is, like everything else these days, not the obscure, difficult to discover (and fund) thing it once was. The atmospheric Outpost (although, were they really zombies, or ghosts, or…? ), and the blood-drenched zombedy Dead Snow both made positive contributions to the list that began with Shockwaves back in 1977 and then all but expired with the mouldy cheese that was Oasis of the Zombies (1981) and Zombie Lake (1981). 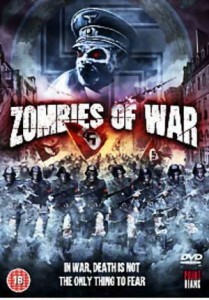 The most recent addition to the canon (although it was made in 2006) is the ultimately disappointing Zombies of War (as it’s known in the UK on DVD; Horrors of War elsewhere). Many of the reviews on the Internet Movie Database have referred to ZoW as being referential to the ‘classic’ B war movies of old, but, you know, arguably there’s not much call for this sort of approach these days, (unless you’re Tarantino), so as someone states, why bother? It happens less frequently than I’d like; a contented glow of time well-spent: 103 minutes of hybrid sf/horror that one is happy to place alongside peers such as Event Horizon, the Alien series, The Dark Hour, Pitch Black and…, well there aren’t many more to add to that list. 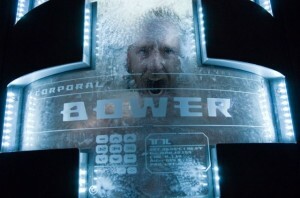 Pandorum is a prime example of learning from what’s gone before and upping the ante to create an effectively tense and challenging experience with an originality all of its own. Many years from now, as the Earth becomes a nuclear battleground for ownership of its failing resources, the Elysium is sent into deep space with a cargo of 60,000 sleeping people and the DNA of most of the planet’s flora and fauna; a modern ark, maintained by several crews who will be woken-up in turn as the years pass, bound for the single planet that has been identified as earth-like, Tanis; their mission, to start again. You’ll no doubt have encountered the furore this movie has generated over the past few months and while I’m loath to add to the noise, I don’t think it’s possible to not have a debate over a film of this nature. 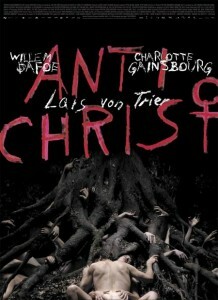 Although divided into several chapters with titles including Grief, Pain and Despair, for me, Antichrist is a film of two parts: the first two-thirds and the final third; this latter segment no doubt being responsible for its seeming adoption or alignment by and with the horror genre.